A sale is one thing, but a sale that gives back is another. For four days only, Gap, Banana Republic and Old Navy are offering a coupon for 30% off during their Friends & Family event. For every purchase made with the coupon, 5% will be given to your charity of choice. Options include: DonorsChoose.org, The Leukemia & Lymphoma Society, Feeding America, Care, Teach for America, and Product Red. The coupon is valid from July 30 to August 2, 2009, and can be used at Gap, Gap Outlet, Banana Republic, Banana Republic Factory Store, and Old Navy. The coupon can be used as may times as you like within the promotional period, and is valid in stores only. It's almost shocking that hot dogs don't cost 75 cents anymore. Nowadays, they're closer to 3 bucks! Not today. In celebration of their 75th Anniversary on July 28, Caspers Famous Hot Dogs announces "The 75¢ Event.” Grab an original Casper Dog at any of the eight East Bay locations today for only 75 cents. The Buy 1 Get 1 Free Smoothie coupon has returned to Jamba Juice! Summer just got a lot more blissful. The Buy 1 Get 1 Free Smoothie deal is back at Jamba Juice through August 9. The offer is valid at participating locations for one menu item of equal or lesser value. This does not include oatmeal, flatbreads, wraps, sandwiches, or salads. Finally, a freebie that's actually good for you! 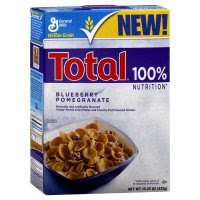 Total introduces its new Blueberry Pomegranate Cereal by giving away free samples. According to Total, one bowl of the cereal gives you 100% of the Daily Value of 11 vitamins and minerals, while providing the most calcium and vitamin D of any leading cereal. If Beppo were around today, his favorite word would be "Mangia"! In other words, "Eat!" He did name his restaurant "Beppo's mouth" in Italian, ya know. In celebration of National Lasagna Day on July 29, Buca di Beppo is giving away a free lunch-sized lasagna with purchase of any Buca Small or Buca Large sized pasta or entrée. The offer is valid at all 87 locations throughout the U.S., and is limited to dine-in guests only. However, you are allowed to take it with you in a doggy bag. Need some relief? Your hands do too! Aveda is offering a "lavishly sized" sample of Hand Relief lotion as an introductory gift when you sign up for the Aveda Birthday Program. You'll be sent a coupon that's redeemable at an Aveda salon, spa or store by September 30, 2009. And, that's not even the birthday part. For your special day, you'll receive an offer for a free Personal Blends Pure-Fume or body care product custom blended with the aroma of your choice, valued at up to $25. While you're at it, enter Aveda and Marie Clare's Get a New Look Sweepstakes. One lucky grand prize winner will win a $500 gift card for Aveda products and services (including hair services, massage and more). Five first prize winners will receive an Instant Renewal gift set including Troumaline Charged Radiance Masque and Protecting Lotion SPF15, Replenishing Body Moisturizer, Smoothing Body Polish, Hand Relief and Lip Saver SPF15. Now through July 26, Foot Locker is offering 30% off everything in the store for their Friends & Family sale. The offer is valid in-store with coupon, and online with code #FF973453 or #IPFLFL24 at checkout. Participating stores include Foot Locker, Lady Foot Locker, and Kids Foot Locker. Win cool stuff on Twitter! It dawned on me the other day. Twitter has changed my life! My new philosophy is, if you want something, tweet about it, and you just might get it. It's the whole "ask, and ye shall receive" mentality. I received free concert tickets after tweeting that it was sold out. I've gotten work just by saying that I needed it. You just never know who's reading, and people are often happy to help if they can. The BEST part is the Twitter contests. Depending on how widespread a contest is, you can often find yourself against minimal competition. You may be at the right place at the right time for the right tweet. I won golf, wine tasting, and a hotel stay, just by being up early enough on a Sunday to answer a trivia tweet. Not long ago, there were two Twitter contests that went viral fast: Squarespace's offer for a free iPhone, and Moonfruit's offer for a free MacBook. Both required that you use their name with a hashtag (#squarespace, #moonfruit) within one tweet per day. The contests were such a success, they became trending topics on Twitter, with thousands playing each day. While updating my website, I stumbled across a new way of finding Twitter contests hosted by TwitThis. The contest page lists any current contests, tells you who to follow, and enters you into the contest by automatically sending a tweet to your Twitter account. To cheesecake or not to cheesecake? Not a question for me. Thursday, July 30 is National Cheesecake Day and who better than The Cheesecake Factory to celebrate? The restaurant is offering half off any slice of cheesecake, with a choice from 30 different flavors. A new flavor, Stefanie’s Ultimate Red Velvet Cake Cheesecake will also be introduced, donating 25 cents of each slice sold over the next 12 months to Feeding America. I'm struggling to figure out the connection between golf, P.F. Changs, and Canada, but who cares when it comes to free food, right? Now through July 26, P.F. Changs is celebrating Briny Baird's hole-in-one at the Canadian Open by offering free Chicken Lettuce Wraps with the purchase of an entrée. As it is, I can barely go to P.F. Changs without ordering lettuce wraps, so I might as well get them for free! To receive your coupon, visit www.pfchangs.com/briny, enter your e-mail address, and you will receive your coupon by e-mail immediately. Thanks for the hole-in-one, Briny Baird. Just in time for the weekend, free Freddos at Peet's are back! This time, grab a blended tea or coffee Freddo with a friend, and get one free through Sunday, July 26. Not valid at airports, supermarkets, BART, and other licensed locations. Limit one coupon per visit. Stock up on skincare samples! L'Occitane is offering free samples when you sign up for their e-mail newsletter. L'Occitane is a French beauty care brand for men and women, using natural and organic ingredients. In the mood to curl up on the couch for a good movie? Blockbuster Express has you covered. Now through July 27, get a free movie rental of your choice from a Blockbuster Express kiosk. Once that deal runs out, Blockbuster offers Rent 1 Get 1 Free discounts through August 24. Baby shower season? Here's a little something to help you out with all those gifts: $5 off your purchase of $25 or more at Babies R Us. You'll notice that the coupon says it's for the Baby Registry, however, it's not limited to registry gifts. It can be used for any purchase, aside from a few items listed below. For online purchases, use coupon code #929909. 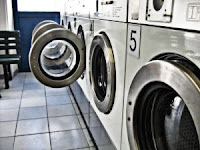 Now, if I could just find someone to do my laundry. Free ice cream is one thing, but organic, sustainable, delicious ice cream is another. Do I hear angels singing? On Friday, July 24, Three Twins in San Francisco is celebrating its 32-1/2 birthday by giving away free ice cream from noon to 11pm. Thirty-two-and-a-half years? Don't ask me, I'm just here for the ice cream. All tips are donated to Friends of the Urban Forest, an organization dedicated to making San Francisco greener, tree by tree. Stop the sniffles before they even start, with a free sample of Airborne. Airborne is a blend of vitamins and minerals designed to support your immune system. To receive your free sample, start by clicking HERE >> To send a sample to yourself, click "free sample" at the top right of the page. To send a sample to a friend, click "Have Sebastian deliver a free sample of Airborne to a friend." Sebastian is the Fabio-like romance novel hero you'll see prancing around the site. For more information about Airborne, visit www.airbornehealth.com. Can't wait until 5pm? No wonder! Estee Lauder is giving away free samples of Advanced Night Repair tonight from 5 to 9pm. Considering that 1 oz. of this stuff is $47.50, you should take advantage of this free sample. BUY 1 GET 1 FREE: Livenation.com has a special deal for music lovers out there. On Wednesday, July 22, Livenation.com is offering two tickets for the price of one, on select concerts at Live Nation ampitheatres. For more information on today's offer, visit Bay Area on the Cheap. $5 TICKETS: For those with even tighter wallets, Livenation.com has teamed up with Subway to bring you $5 tickets to select shows. Only requirement? That you purchase a $5 Foot Long sandwich at Subway. Once you purchase the sandwich, you'll need to complete the form HERE >>. Here's a promotion that came out of nowhere. Free burritos at Baja Fresh! Purchase a regular beverage at Baja Fresh on Wednesday, July 22, and receive a FREE burrito with printed coupon. The offer is valid from 11am to 9pm and is not valid at all locations (see below). Somehow, undies and Cosmopolitan magazine are a perfect match, which explains why Aerie is offering a free undie in the August issue of Cosmo. Grab the magazine from your mailbox, a local store, or dentist office (shh, I won't tell), and clip your Aerie coupon for one free favorite undie of choice. The original coupon must be presented, so don't even bother making copies. This offer is valid now through August 15, 2009. Here's a reason to have a party! Only catch? You have to plan ahead. Just a little. TGI Fridays will give you a free Jack Daniel's Sampler Platter when you invite friends to party at TGIF. No it's nothing fancy. You just have to plug in a couple of your friend's email addresses, say when you want to "invite" them to go and which location to go to. From there, you'll receive a PDF by email, which will expire on August 15, 2009 and can be used at any location. The coupon is valid for parties of three or more, with one allowed per party, per table, per visit. It's baaaaack! The free 10-day sample of Bare Escentuals Foundation has returned to their website. The offer was previously available in stores and online, with its website proving to be the best way to order. Why would that be with a shipping fee of $3.95? Simple. You can order up to three shades online. I don't think you can get away with that in the store, unless you're a charmer! Online, you can order one of each shade, and up to three shades total. So I ordered my foundation color, plus a lighter shade as a highlighter for my upper brows, and a darker shade as a bronzer for my cheeks. When I originally received this offer back in March, the makeup specialist taught me a tip for a nice glow, which I'm happy to share with you. Tip: Grab the buki brush (also provided free) and make a sweep from your cheekbone up to your temple and back, then around the rim of your jaw. Repeat the action depending on desired effect. You could start from the temple, but you'll likely want more powder on your cheekbone. (Wherever you begin application tends to be the most dense.) Visualize that you're drawing a giant number 3 around your cheek and jaw bone. This is just one method! Some prefer to highlight the T-zone (forehead, nose) and cheekbones. It's up to you. I just ran out of shampoo, and began to wonder, "does anybody give out free shampoo samples anymore?" Of course, the answer is "yes," but it has been a while since I last saw a terrific free shampoo/conditioner freebie. As it turns out, the timing is just right. 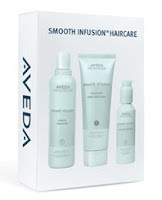 Aveda has an online promotion offering a free 3-piece sample of their Smooth Infusion Shampoo, Conditioner and Style-Prep Smoother. Just print the coupon and bring it into your nearest Aveda salon/spa or store. You can kick up your feet on this one. The offer doesn't end until December 31, 2009. But if you're anything like me, you'll be at the Aveda store tomorrow. Get a case of the Mondays just thinking about the first day of the week? Here's something to cheer you up. It's Mocha Mondays! McDonald's is offering complimentary 7 oz. McCafé Mochas to customers every Monday until August 3, 2009. All you have to do is arrive between 7am and 7pm on a valid Monday and ask for a free mocha. Too hot for coffee? Iced McCafé Mochas are also included. There's no doubt that times are stressful. So, anything promoted to be stress-free and free is a plus in my book. Dengaku is offering a free sample bottle of Kiss My Face Aromatherapeutic Anti-Stress shower/bath gel. Fill out the form for your sample, and confirm via the email you'll receive immediately after. Be patient though, it'll take approximately 2 months for your sample to arrive. While there, browse around Dengaku.com for meditation tips, exercises, suggested reading and links. Starbucks is an easy place to spend too much money, which usually keeps me away from the pastry counter. Not on July 21! On the morning of Tuesday, July 21, Starbucks is offering a free pastry with the purchase of any beverage, as a coupon available through Facebook. Choose from a variety of pastries, limited to one per customer, between opening and 10:30am. Collecting perfume samples was once my favorite hobby. Almost everyday at the mall, it was our mission to collect as many of those tiny bottles as possible. We'd go to one counter, then sneak over to another for more. Nowadays, things have changed. We order most of our perfume samples online. I've received samples by Celine Dion, Sarah Jessica Parker and Gwen Stefani, each arriving on a flat piece of paper, as a sticker bearing only a smudge of fragrance. I don't know if I'll ever request a fragrance sample by mail again. How can I sample perfume, if I can only smell it once? What if I want to smell it before I decide to wear it? I miss the days of those tiny perfume bottles. Anyway, what was my point? Ten thousand sample fragrance sets will be given away at Nordstrom stores throughout the U.S. The giveaway starts on July 7 and ends on August 10, 2009, or when stores run out of samples, whichever comes first. Costco is famous for it's generous in-store samples. But, how many customers know that product samples are also available from Costco.com? Hopefully more do now. 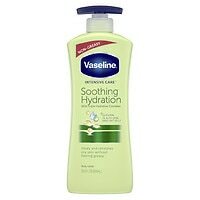 For a limited time, Costco members and non-members can order a free sample of Vaseline Aloe Fresh Hydrating body lotion. If you are not a member, leave the "Costco Member ID" field blank. If your budget is anything like mine, Coach isn't a word in your vocabulary. As much as I would love to love Coach, visiting a store puts me in a bout of depression, along with the sudden urge to open a new credit card. STOP! I notice that Coach is giving away a free gift at its stores through Facebook, and my mood shifts. The gift isn't a wallet, a bag, or anything leather for that matter, but it is stylish and cool, and it is Coach. And it is free. The gift is a set of pencils boxed with a pattern from the new Coach Poppy line. Coach Poppy is an edgy, bright collection of handbags, accessories, shoes, clothes and jewelry geared towards a younger crowd with a tighter pocketbook. Unfortunately, the Coach Poppy line is still beyond my budget, but the pencils are not! I've heard great things about CVS/pharmacy, particularly their ExtraCare customer rewards program. The program offers exclusive deals and coupons, while allowing members to collect Extra Bucks towards future purchases. Here's just one of their recent offers that's worth getting up and running to the next CVS store for: $4 off any purchase of $20 or more with your ExtraCare card and coupon. Unfortunately, I just dug this up, and last day to use the coupon is July 19. So sign up, print, get up, and GO!!! There's not much to say about free tampon and maxipad samples, except that they're likely to save the day when us ladies least expect it! There are plenty of feminine hygiene products to request right now, including Playtex Sport Tampons, Playtex Gentle Glide Tampons, Carefree Ultra Protection Pads, and Stayfree Ultra Thins. Flip out! Ben & Jerry's has a new ice cream product, and they want you to try it! What could be better than a free day at the Symphony? A free symphony in the great outdoors, of course. This is not just any symphony afterall, it's the San Francisco Symphony. On Sunday, July 18, The San Francisco Symphony conducts its annual free concert at Dolores Park in San Francisco. The concert begins at 2pm, but it's better to arrive much earlier, not just because it gets crowded, but because Sunday Streets is happening just before. What is Sunday Streets? It's basically an outdoor festival that happens five times during the summer in San Francisco. It originated in Bogota, Columbia as a day to promote free, health and community oriented events. Events range from yoga to dancing, kids activities to bike activities, guided walks to rollerskating, and more. There will even be free bike rentals from Bike & Roll, and so many cool activities, you'll have to go to sundaystreetssf.com to see for yourself. So, take a nice walk, enjoy the free fun, and get ready for a beautiful afternoon of Tchaikovsky and Beethoven. And make sure not to miss the Michael Jackson Thriller skate dance demo at 12:30, just in time before the symphony begins. Are you a Kate Spade fan on house arrest because you don't have it in your budget? Can't bear to enter or even walk by a Kate Spade store lately? Now until Tuesday, July 21, Kate Spade is offering an additional 40% off sale items ranging from handbags and shoes to jewelry, sunglasses, apparel and more. Even better, shipping is free. Keep in mind that the additional discount is not applied until after you add the sale item to the basket. From there, you can see the final sale price. Here we go again. I found an offer I can't refuse. SteveMadden.com is offering 50% off select styles of Men's and Women's Spring shoes. In addition, the clearance section boasts savings of up to 75% off select shoes, handbags, and accessories. Here's a pair I cannot (and will not) resist. I'm a huge fan of flats, and the "Sequine" flats would be perfect for a night out on the town, without having to ditch my shoes along the way. Originally priced at $69.95, the markdown price of $34.98 fits conveniently within my price range. I also love the "Nixee" sandal, a delicate leather shoe that's perfect for a California Indian Summer. With a final price of $49.95 (originally $89.95), I'll have to put a little more thought into it. And then there's shipping, where online shoppers usually get taken advantage of, right? Not this time. Use code SMFREESHIP for free shipping on any order. Act fast! This sale ends July 20. IKEA isn't necessarily the spot I think of for solid wood furniture, but this weekend it is. Fans of dark wood will be satisfied with IKEA's Seize the Days on July 18 and 19. To top it off, IKEA is offering free breakfast (including coffee) to fuel up for the sale. I'm a cheap date. On scorching hot days like this, you can buy me an iced coffee and I'm yours. Seriously though, it's toasty out there! Peet's Coffee knows it and is doing something about it. Now thru July 17, Peet's customers can purchase one iced beverage and get one free. You love free chocolate, right? Then, you'll be happy to know about the Mars Real Chocolate Relief Act. Every Friday, the first 250,000 online entries will receive a free coupon for chocolate by mail. The giveaway takes place every Friday (9am to 11:59:59pm E.D.T.) from May 8 through September 25. Once you receive your coupon, you'll be able to choose from one single-sized package of any M&Ms, Milky Way, Snickers, 3 Musketeers, Twix, or Dove candy bar. When you enter your name, address, and email address, you'll receive an on-screen message within 5 minutes requesting your registration information. If you don't complete registration within 5 minutes, your coupon will be cancelled. There's a limit of 1 coupon per email address per Friday, and four coupons per household during the offer period. And, you'll have to be patient. The coupon will be sent via snail mail, and will take approximately 6 weeks to arrive. You'll also receive an e-mail notice that says you're a "winner." Coffee and ice cream are two of my favorite things, combine the two and you get another favorite: coffee ice cream! Starbucks is giving away coupons for free pints of Starbucks ice cream via Facebook. Through July 19, Facebook fans can sign up for a chance to win one of 280,000 pints, with 833 pints being given away at the beginning of every hour. Hint: Try late at night or early in the morning, when it's less likely that people will be entering. The offer is limited to adults 18 and older, with a limit of one free pint per person and per household. Unfortunately, this offer is not valid for residents of Colorado, Louisiana and Tennessee. The coupon expires 30 days after it is printed, so use it fast! It's mystery gift time at Aerie again. July has arrived and Aerie will have a new gift for A-List members starting today. Just stop by any Thursday of the month to pick it up. I have no clue what the gift is yet, but will update you once I find out. To sign up for the A-List, click HERE, and "Sign up for e-mail" at the bottom left corner of the page. 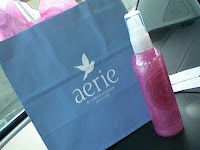 I picked up my gift and it was a deluxe sample of Sharing Shimmer Body Mist! 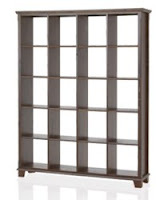 If you're looking for a way to refresh your space, get organized! The Container Store is the perfect place to do it, and thanks to the Oprah show, you can now get 25% off your entire purchase through July 12, 2009. The Container Store has virtually every type of container imaginable, from gift containers to food containers to laundry containers and storage containers. You'll find multiple options to easily organize almost any space. If you prefer to shop online, use promo code #CLUTTERCREW at checkout. Visit First Tuesdays during the first week of every month for free admission to several Bay Area museums, including the de Young and SF MOMA. If you've been reading my blog, you know that smoothies are my "thing" lately. I'm not always thrilled about Buy 1 Get 1 Free deals, but with Jamba Juice it's a different story. Now, who's going with me?